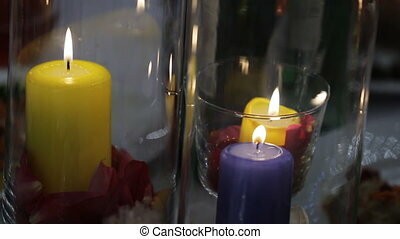 Wineglass with red wine stands on table near burning candle. 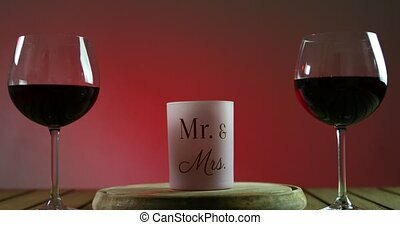 Two glasses of red wine standing on a table with candle on the wooden platform. Text on candle Mr&Mrs. Romantic atmosphere. Red gradient background. Wedding, valentines day. 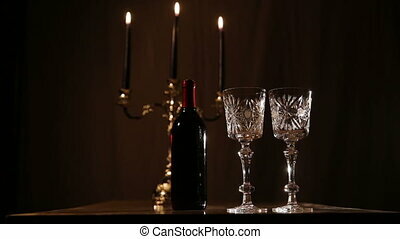 Two glasses of red wine standing on a table with candle on the wooden platform. Waiter pouring wine into the wineglass. Text on candle Mr&Mrs. Romantic atmosphere. Red gradient background. Wedding, valentines day. 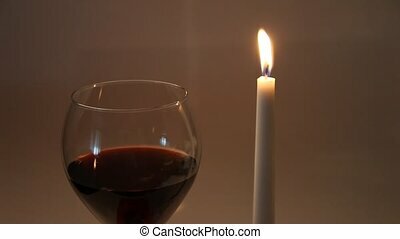 Two glasses of red wine standing on a table with candle on the wooden platform. Text on candle Mr&Mrs. Romantic atmosphere. Red gradient background. Wedding, valentines day. Camera is moving backwards. 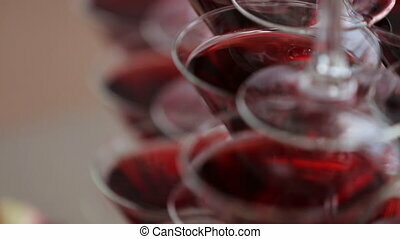 Triangular wineglasses, filled with red wine, stand on table one by one. They are prepared for celebration for guests who decide to visit this event. Luxury alcohol liquid plays with all tints of vinous colours. It is great beverage for every feast or holiday, it improves mood in better way and creates thrilling and cheerful atmosphere. 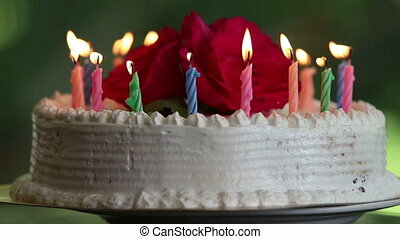 Some people have ability to differentiate various kinds of wine drink, such as dry or sweet one. They are so called sommeliers. 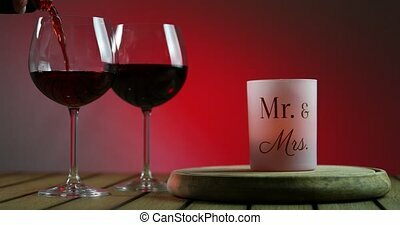 Two red wine glasses.Wine glasses on the table,and burning candles in beautiful chandelier.Romantic atmosphere with wine glasses and candles. 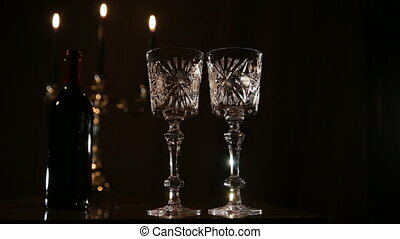 Red wine glass.Wine glass on the table,and burning candles in a beautiful chandelier behind on a black background.Romantic atmosphere with wine glasses and candles. 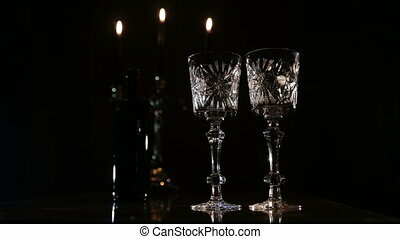 Wine glasses on the table, a bottle of red wine and burning candles in a beautiful chandelier behind on a black background.Romantic atmosphere with wine glasses and candles. 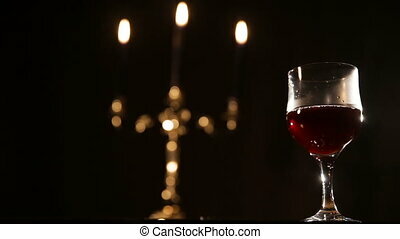 Wine glass with red wine and a candle light near it. 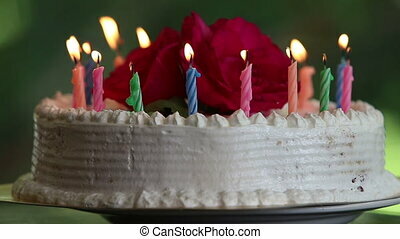 Composition of flower petals and burning candles stands on festive table. Brightly colored in violet and yellow suppositories have different length and diameter. 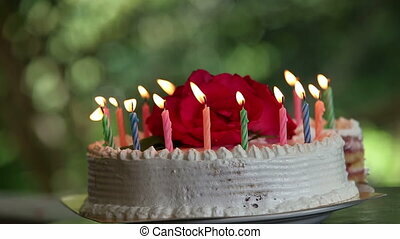 Its flame waves on air from light breeze, molten wax slightly splashes. 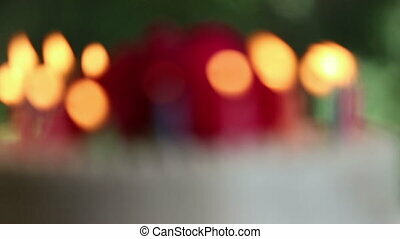 Candles are settled in glass vases which is full of parts of red roses. This exposition with floral elements makes atmosphere on celebration more romantic and mysterious. Such kind of decoration is great idea for every ceremony. 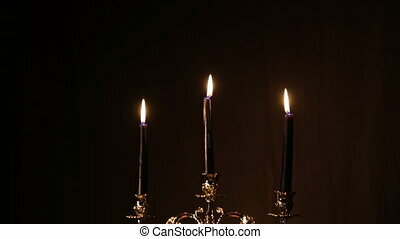 Wine glasses on the table, a bottle of red wine and burning candles in a beautiful chandelier behind on a black background.Romantic atmosphere with wine glasses and candles.Video footage on the move. 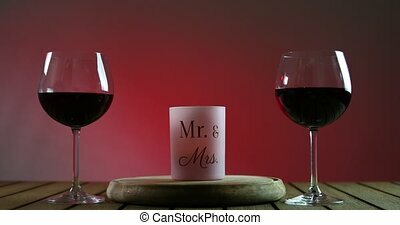 Red wine bottle, two wine glasses,burning candles in a chandelier.Wine glasses on the table, a bottle of red wine and burning candles in a beautiful chandelier behind on a black background.Romantic atmosphere with wine glasses and candles.